Over the years, I've tried to do most of the experiments in my children's science books. However, we can't possibly do all of them. Sometimes, I don't have all of the supplies on hand or the homeschool funds to purchase every single item needed. Other times, I honestly just don't feel like making a mess or the projects seem too overwhelming. And quite frankly, I don't always have the energy either. I chose Volume 6: Chemistry since my daughter and I spent all year studying this subject. I let my daughter choose the other one, and she picked Volume 2: Life Science, Weather. Ben Roy, former director of News Channel 9 Science Theatre and current teacher of science methods at the University of Tennessee at Chattanooga, performs and explains all of the science experiments in each episode on the Go Science DVDs. Ben's passion for science is contagious, and he enthusiastically welcomes the children on set and at home to each episode by greeting, "Welcome to Learning Time!" Most of the episodes are featured in a backyard type setting - nice back porch, white picket fence, beautiful green yard splashed with colorful flowers - while some of the others are located in a school gym or outdoors. As part of the program, Ben Roy interacts with a group of kids ranging from young elementary to teen who are included on the set, and a few kids from each group get to be helpers during the experiments. My plan was to watch a few experiments each day, but my daughter had other plans. After popping in the Life Science and Weather DVD, she didn't want to stop after a few experiments. So, we ended up watching the whole thing. It really wasn't that big of a deal since both DVDs only run for about an hour each. The entire family can enjoy watching these Go Science DVDs, but they are specifically targeted toward children ages 4-12. My 9 year old daughter watched both DVDs with me. My sons who are a little older (12 & almost 15) sat in on a few experiments here and there. Now, let's take a look at each DVD more specifically. Volume 2: Life Science, Weather includes 12 experiments - 7 life science experiments and 5 weather experiments. You can watch each experiment individually or play all. 1. Flashlight Animal Eyes: In this experiment, Ben Roy explains why God made some animals' eyes to reflect light. He also shows kids a neat way of looking for spiders at night. 2. Animal Skulls: This one was my daughter's favorite life science experiment. Here, kids identify a beaver skull and learn facts about beaver teeth and why they have eyes on the sides of their faces. Other skulls are identified as well, and kids learn the difference between prey and predators. 3. Bobby Pins: Kids experiment with bobby pins and learn about the sense of touch. 4. What Are You Looking At? Ben Roy shows kids pictures of a familiar person's face with a couple of the features misplaced, but they are still able to identify her, especially in one of the pictures. This is a neat experiment about how our brains work. 5. How Much Do Your Lungs Hold? Ben Roy explains vital capacity and why it is important. Kids do an experiment to see how much air our lungs can hold. 6. Eating Nails for Breakfast: Ben Roy does an experiment that actually takes the iron out of cereal and talks about why we need iron. I thought this one was really cool! 7. Naked Egg: Kids learn what vinegar does to eggshells and why. Ben Roy shows eggs in different stages of vinegar soaking and talks about calcium and why eggs have shells. 8. Fire and Tornado: Ben Roy makes a fire tornado and explains how our words can be like fire. 9. Ping Pong Cannon: Here, Ben Roy does an experiment that shoots a ping pong ball out of a pipe and straight through an empty can of soda. 10. Liquid Nitrogen Cloud: This one was my daughter's favorite weather experiment. She loved watching the huge nitrogen cloud form! Ben Roy gives some facts about liquid nitrogen and explains why it makes a cloud. 11. Cloud in a Bottle: Here, kids learn about the difference between high and low air pressure and how clouds form. 12. Garbage Can Vortex: This is a neat experiment in which Ben Roy fills garbage cans with fog and creates smoke rings. He explains why the rings are always circles no matter what and that even nature has to obey certain laws. Volume 6: Chemistry includes 11 experiments divided into two categories: Chemistry 1 and Chemistry 2. Again, they can be watched individually or played continuously. 1. Milk and Food Coloring: Ben Roy gives facts about water and milk and does an experiment that breaks the surface tension of water. 2. Elephant Toothpaste: Kids get to see what happens when yeast is added to hydrogen peroxide and soap. 3. Stains: Ben Roy states facts about bleach and does an experiment that takes away the color in Kool-Aid. 4. Staying Dry/Diapers: Kids get to see what a diaper looks like when it's taken apart. Ben Roy explains what the granules are and shows how they absorb liquid. 5. Lava Lamp: Ben Roy helps kids on the show make their own lava lamps with oil, food coloring, and effervescent tablets. He also talks about how the center of the earth is made of magma. 6. Instant Snow: Ben Roy does a fun experiment with the same type of chemicals that are used in diapers to absorb liquid. My daughter loves making snow especially since we don't ever see it where we live. 7. 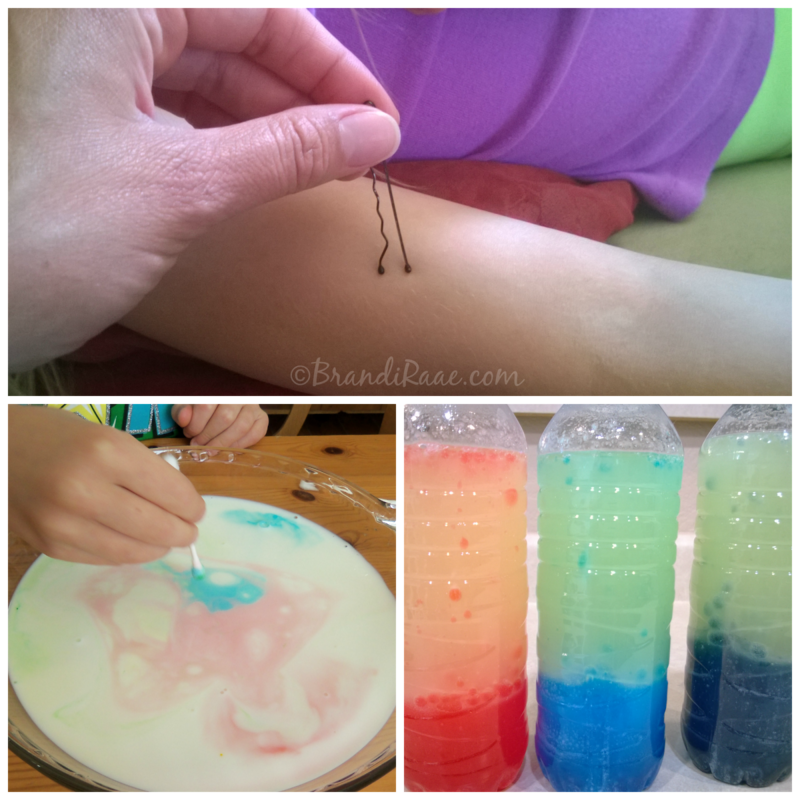 Silly Slime: Kids make a substance more like silly putty during this experiment using materials like borax, glue, and water. 8. Hydrogen Bubbles: This is an experiment that really has pop! Ben Roy lights bubbles on fire which makes a loud noise. 9. Grain Elevator: This is an experiment which involves the use of candles, and Ben Roy uses it to explain how little things are important and can make a big difference. 10. HHO Generator: Ben Roy does an experiment which takes the hydrogen and oxygen out of water. 11. Mentos Fountain: This is an experiment that show what happens when Mentos candy comes in contact with carbon dioxide. Ben Roy also shares why carbon dioxide is not good for our bodies. So, in a nutshell, those are all of the experiments on the two DVDs we watched. Some of them we'd done before, but some of them were new and interesting to us. I like that some of the experiments can be safely replicated at home for kids who really like to try things out on their own. I also like that some of the experiments are ones that really can't be done at home because this gives kids the opportunity to see science in action that they wouldn't normally get to see. While the experiments are all fun to see, I did feel that some of them could have been explained a little more clearly. Also, as a highly visual learner, I think it would be helpful to have some of the main points, definition of terms, etc. of each experiment as subtitles on the screen. Sometimes there's so much action going on with the effects of the experiments that Ben Roy's words get lost in the mix. I'm the type of person who likes to thoroughly understand why something is happening, but I am sure most kids will be satisfied with watching the cool experiments! These DVDs are a great "extra" for homeschooling and can be enjoyed separately from a science curriculum or they could definitely be used to compliment science books you may already have. My daughter seemed to really enjoy them, especially the one about life science and weather. As a homeschooler, you can become a member of Library and Educational Services free of charge and save 30-70% off of retail prices for these DVDs and tons of other educational products. 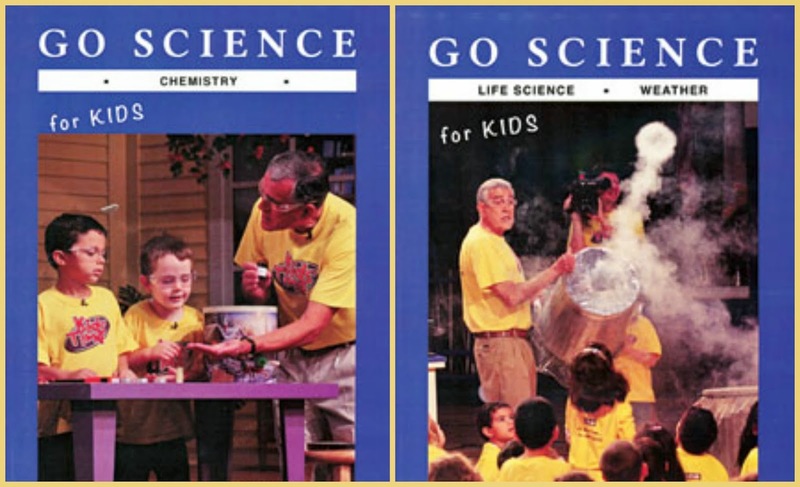 Both of the Go Science DVDs my daughter and I reviewed can be purchased for $8.97 each which is a 40% savings. The entire 7-CD set can be purchased for $59.82 which is also a 40% savings. 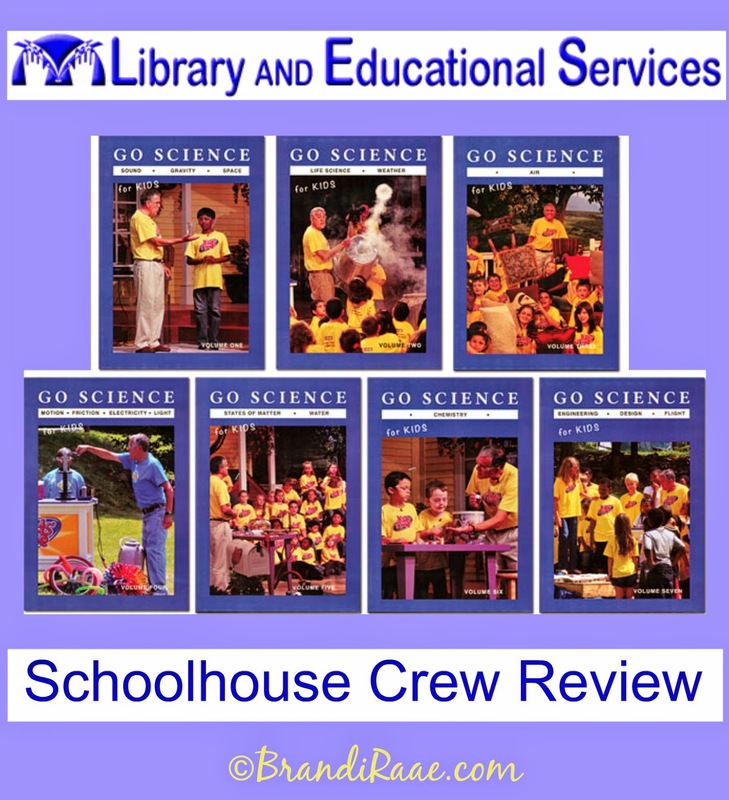 You can connect with Library and Educational Services on Facebook, and also be sure to click on the banner below to read Crew reviews about some of the other videos in this series.